Being a Disney kid, I can say that I have always felt fortunate to have so many magical memories from Walt Disney World. My parents took my brother and I every other year and we had a blast riding the rides, eating Mickey-themed food, and seeing as many characters as we could fit in during the week. I would wait all year just to take my first glimpse of Cinderella’s iconic castle at the end of Main Street, USA. To me the castle symbolized all of Disney and, to this day, I associate it with joy and Disney magic. However, it wasn’t until I was an adult that I learned that you can eat inside Cinderella Castle. This was a game changer for me. Having this knowledge about Cinderella’s Royal Table (CRT), I wanted to make sure that my children were able to have this experience. I decided that I was going to take them, and it would be something that we could experience together, for the first time! Fast forward to present day, I am a proud mother of a “Cars” loving, insect chasing, dinosaur seeking, four-year-old BOY. 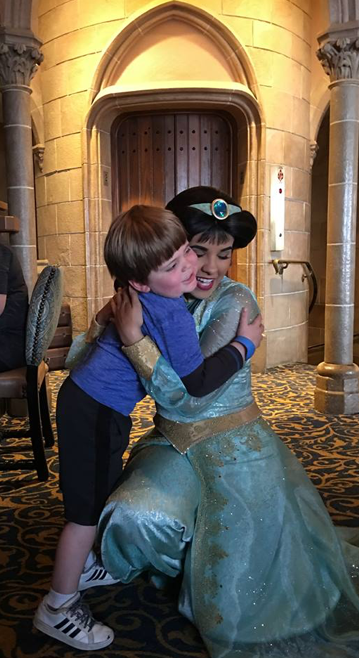 My son loved going to Walt Disney World, but his favorites were not the princesses, and he never seemed all that concerned with Cinderella Castle. Regardless, I had set this as a goal as something I wanted to give my child, and so I made the advance dining reservation for CRT and went in not really knowing what to expect. We were then taken upstairs by a cast member and led to our table. 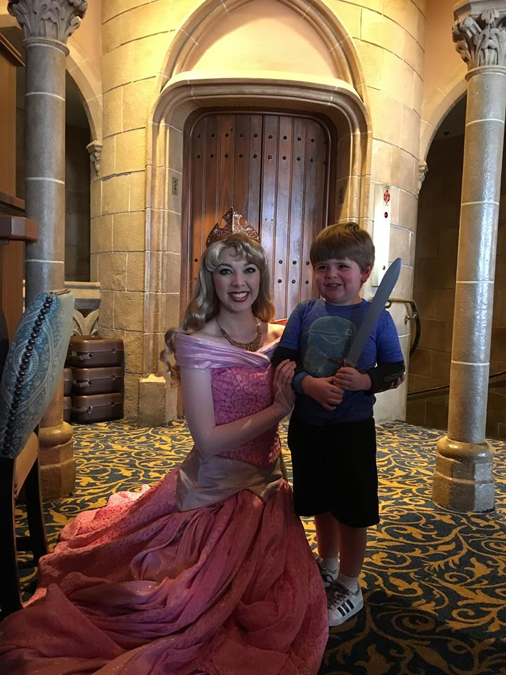 Upon arriving my son was given a plastic sword, which he loved, and the princesses went around the room meeting with each table. To be honest, I don’t remember a lot about the food. What I do remember is thinking about how personal the experience felt. The room was not so large that you felt lost, and for the first time that day it did not feel like I was in a giant amusement park. The tables were quaint and as I looked around I saw families taking a moment just to relax and enjoy the ambiance. For a moment I was brought back to my childhood and feeling as though I was literally eating with Cinderella at her castle. All knights will receive their very own sword upon arriving at their royal table. In addition, the princesses were phenomenal. My son was able to meet and actually hold a conversation with: Aurora, Ariel, Jasmine and Snow White. Aurora was especially sweet and even came back to our table, after visiting the others, to tell my son goodbye again. 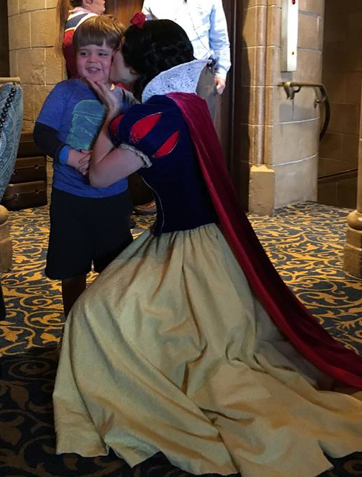 I was really impressed with how all the princesses really took the time to make my son feel special, and how natural it felt to bring my (previously) non-princess loving son, to this experience. It also prompted a great conversation with him about chivalry, traditional and non-traditional gender roles, and how he should treat others. I felt like he had really gotten something meaningful from this whole experience, and it might not have happened during this trip if we wouldn’t have made the reservation. All and all, everyone in our group had a fantastic time, and I was so happy to get to share it with my son. 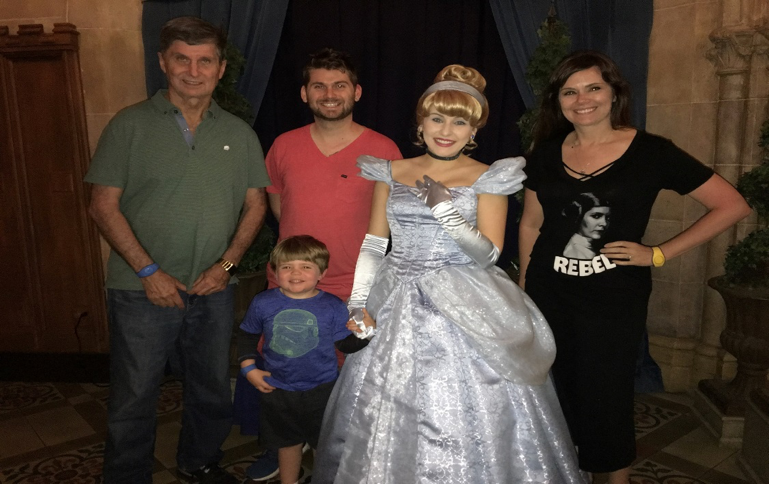 My advice to ALL moms – don’t skip Cinderella’s Royal Table during your next trip to Walt Disney World! Cinderella’s Royal Table is one of the most popular dining locations in all of Walt Disney World Resort, so an Advanced Dining Reservation is a MUST. If the thought of booking something at 180 days out stresses you out contact of our Magical Tripcations Travel Planners! We are here to help you with all the details, like scheduling your dining reservations for you as soon as they are available for booking. Let us work our magic and you just wait for the email confirmation! Want more information on booking with one of our Magical Tripcations Travel Planners? Request a quote to get in contact with a Travel Planner today!